Through the simple Yo-Yo, BLACK has achieved dreams he once thought impossible. Over the years BLACK’s determination and self-belief overcame his lack of talent, forging a path filled with happiness to achieving his dreams. Through his dynamic performances and engaging talks, BLACK will help you to discover and experience your own life filled with happiness. Using this simple toy, BLACK became an acclaimed solo performer with Cirque du Soleil. Through his passion and commitment to achieving his dream, he turned the impossible into the possible. Even if you think you don’t have a special talent, you can make your dream come true. BLACK knows this because he has done it. 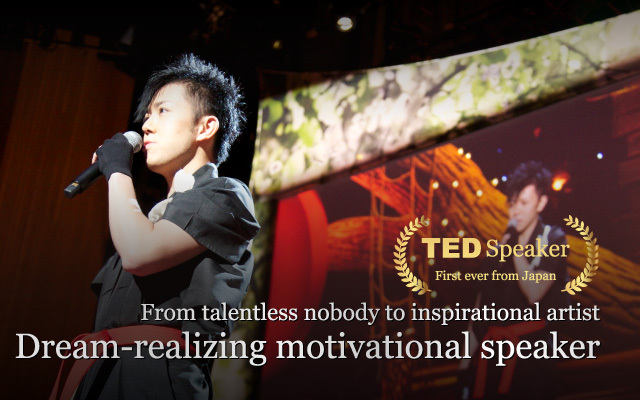 His first-ever talk about how he became a Champion, his approach to life, and his search for happiness, won a standing ovation at the global TED conference. BLACK has joined the Dungeons & Dragons universe! BLACK featured in popular textbook "Longman English Spark!". BLACK’s new act “Illuminate the World” released. 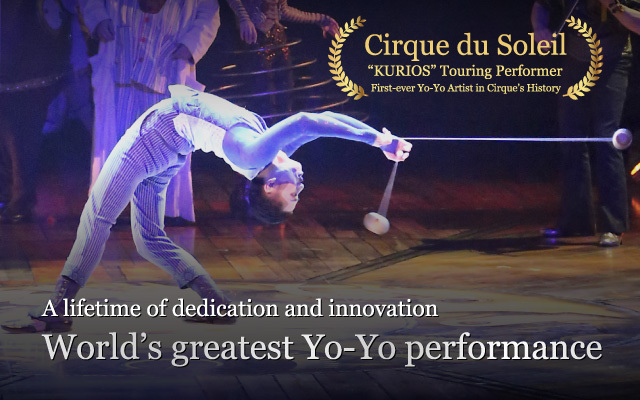 Movie of BLACK performing in Cirque du Soleil “KURIOS” released.